With more than 8 years in the interior design and home building business, Frank Pay creates spaces and atmosphere’s that are intelligently designed and entirely unique to each client in terms of sensibility and aesthetic. Frank is a collector of lamps and an expert in lighting advise for your private and public projects using the same mix of vintage and new items adapted to your project. 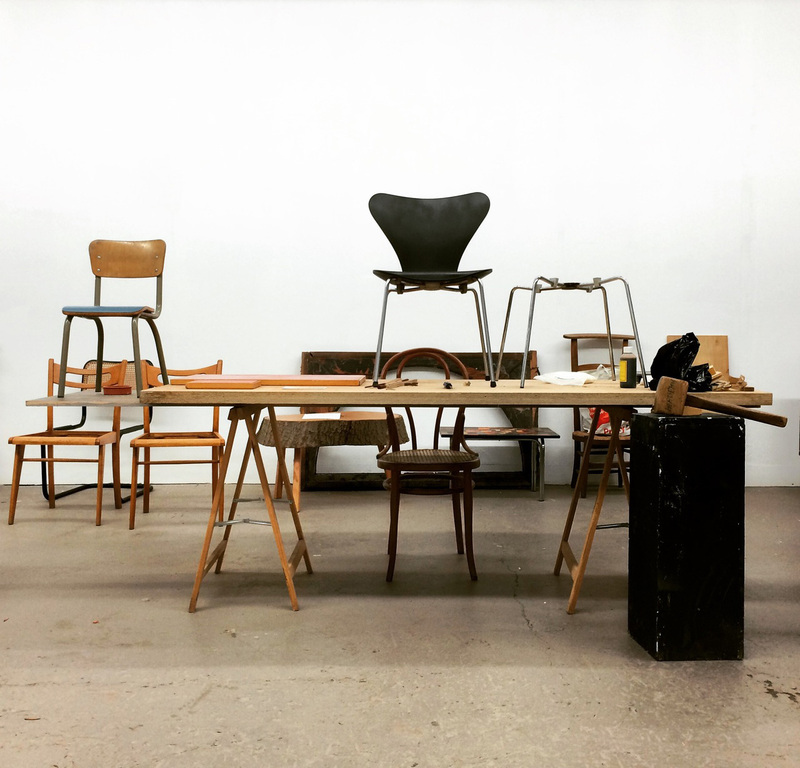 Frank Pay studied furniture restoration and is an expert in wood and upholstery restoration. We have our own wood-restoration studio where we adjust wood finishings and structural problems in close dialogue with the client. For upholstery we collaborate with the best professionals according to the requiered style and budget. As a collector and decorator Frank has an expert eye and large network to find items on request. If you are looking for a specific piece of furniture, object or lamps we will find it for you whatever it takes. It might take an hour, it might take a year but we will find the item that you are looking for. We work internationally since 5 years and have experience to deliver or send our items around the planet weekly. We always look for a budget friendly solution, professional packing and communication. We handle a door to door delivery policy, no stairs, no elevators except on demand. As decorators we often rent to art directors in cinema, commercials and photo-shoots. Come and discuss your project, requests and dreams with us and we’ll adjust as good as we can. If we don’t have it we can find or make it!